If you're tired of your toaster just sitting around wasting counter space after the breakfast rush, you'll appreciate Quirky's Crisp toaster concept. Like playing an accordion, it can be squeezed down to a mere 2.5-inches wide so it's easy to store. 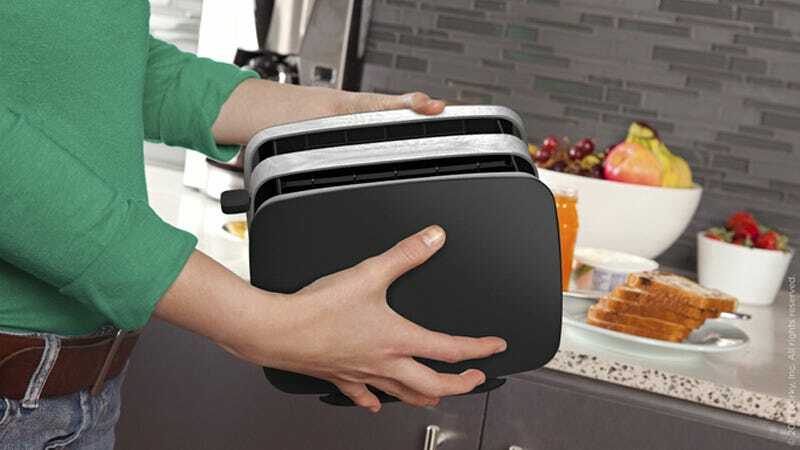 With the toaster fully expanded you get your standard pair of toasting slots with enough capacity to handle even bagels. And despite its clever slimming trick, the design still manages to incorporate a removable crumb tray so you're not constantly wiping up bread bits.